Funghi funghi funghi, porcini porcini porcini. Ahhhhhh such gorgeous words, such gorgeous food. My husband, daughter and I spent the last two weeks in Liguria, on the Italian Riviera with my husband’s family who have been living there for the past 10 years. 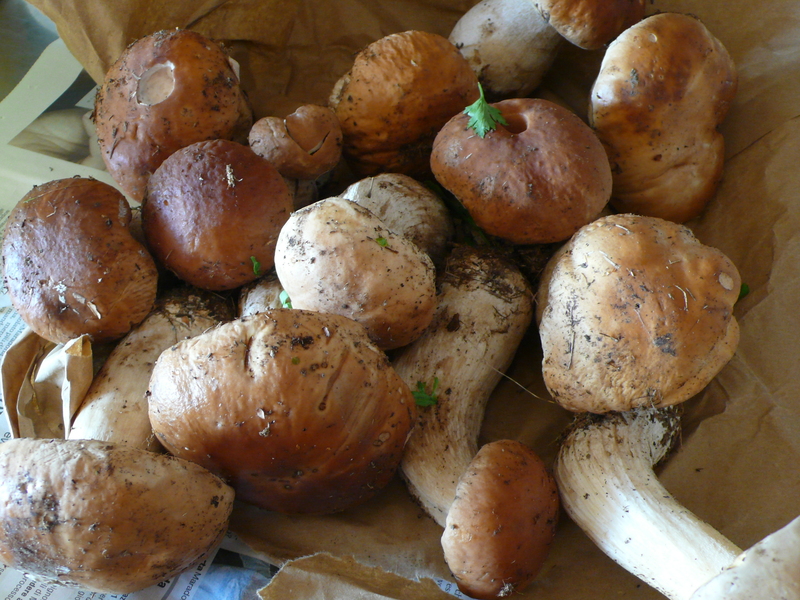 It is one of the most beautiful parts of Italy to visit and we were so lucky that despite severe thunderstorms the first two days, the sun came out and not only gave us gorgeous weather, but filled the forests with the season’s first porcini mushrooms. My mouth is watering just writing about them. The piazzas and markets were abuzz with people talking about porcini, it seemed like everyone on the Ligurian coast was cooking porcini in their kitchens, people were so excited. When was the last time that a community in the US was this excited about produce? I get excited when peaches are in season in Charleston, watermelon and summer squash too, but I don’t hear the buzz of excitement in the markets about these precious gems. Maybe if the peaches were porcini mushrooms there would be more of a thrill, people tend to go a little nuts over funghi. 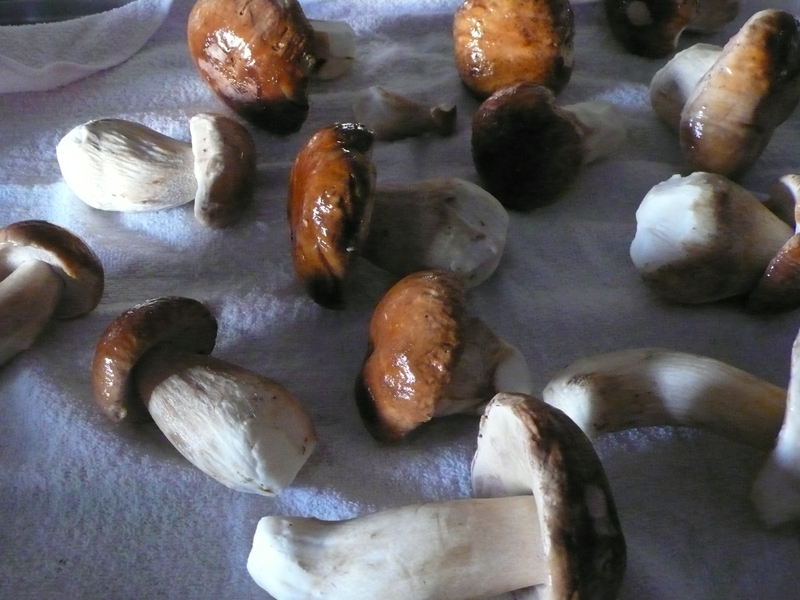 Using a soft brush or a clean kitchen towel, remove any dirt from the mushrooms. 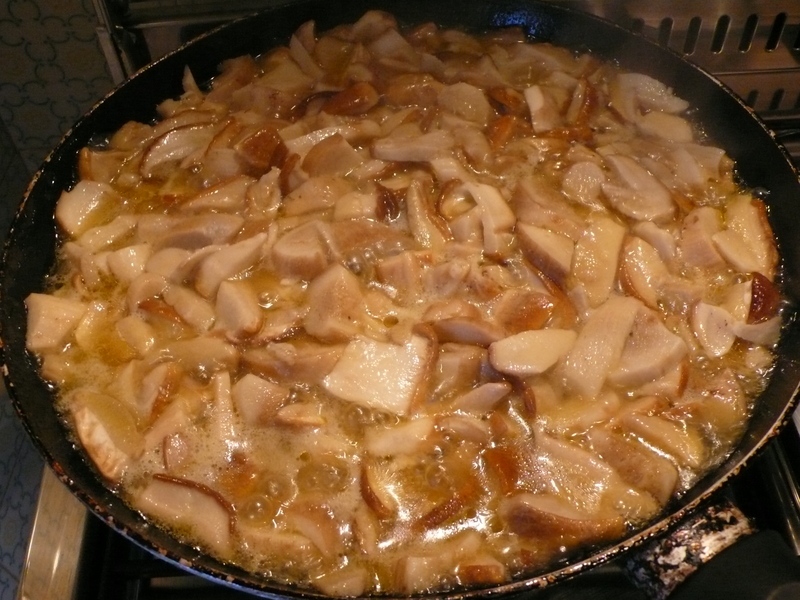 Most cooks forbid you to wash mushrooms, especially these precious porcini, but my mother-in-law washed those boys without a blink, they were delectable, so I will leave this rule up to the reader. Remove and discard any tough stems or woody parts. 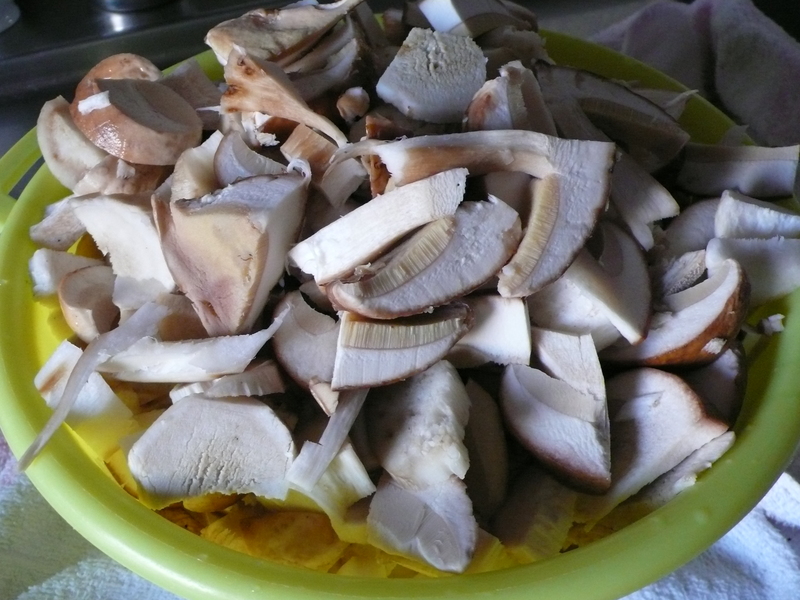 Slice the mushrooms thinly. Place the garlic, parsley, and olive oil in a cold skillet large enough to accommodate all the mushrooms later without overcrowding. Turn on the heat to low and sauté the garlic until softened but not colored. 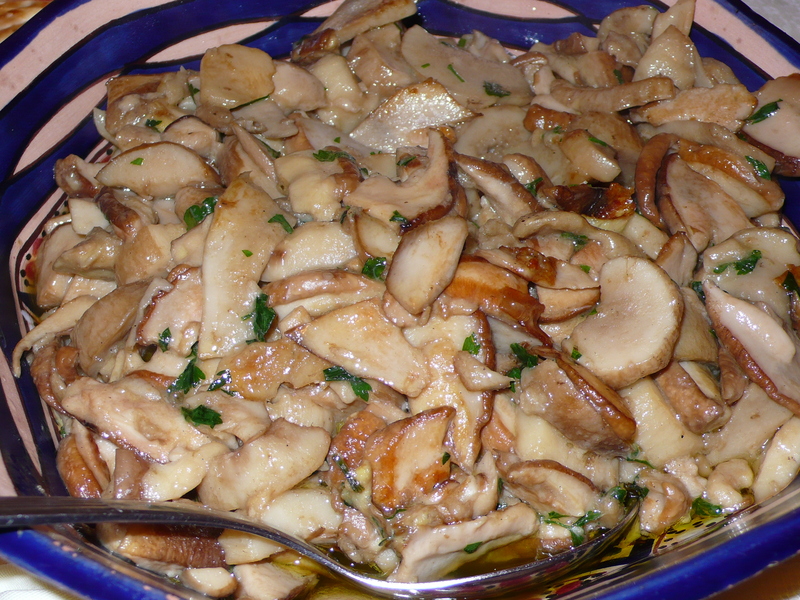 Add the mushrooms and, using a wooden spoon, toss to coat with the oil mixture on all sides. 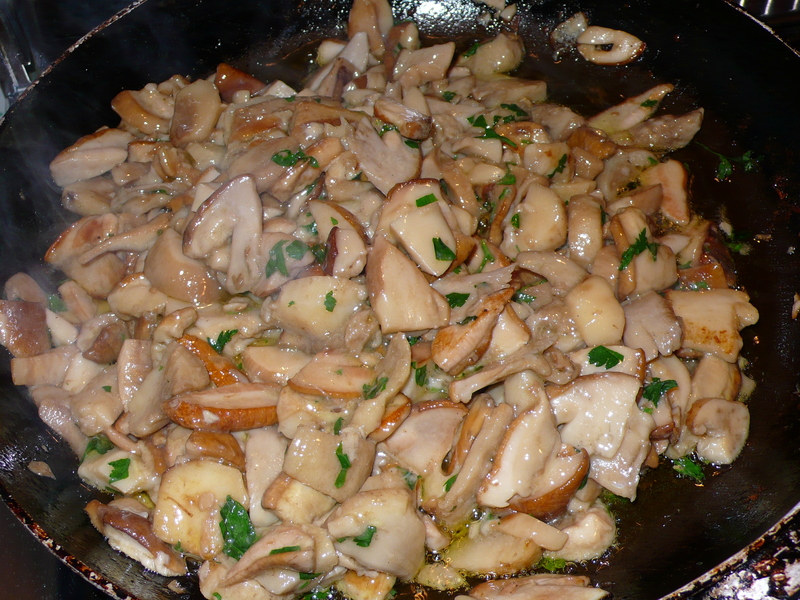 Sauté the mushrooms in this manner until they are softened and release their liquid into the pan, 8 to 10 minutes. 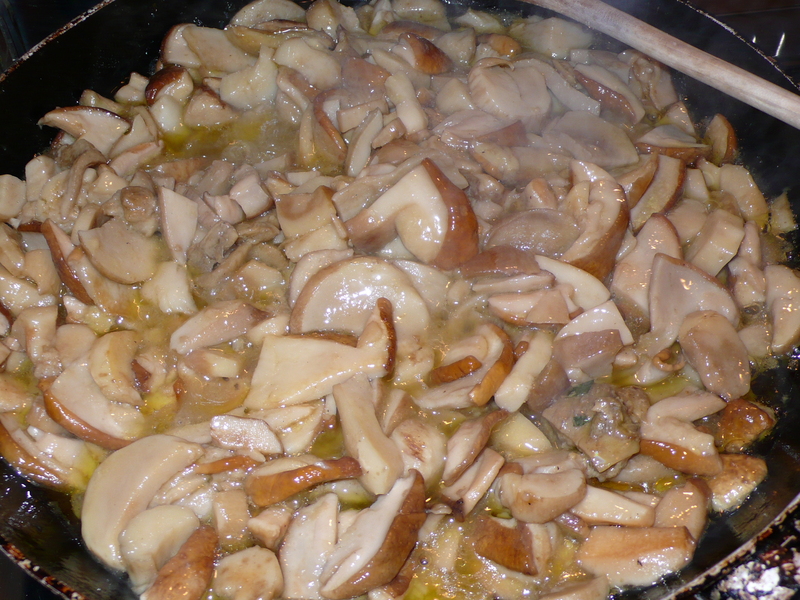 Raise the heat to medium and continue cooking until the mushroom liquid evaporates, 2 or 3 minutes. Add salt to taste. Serve hot. ~ by italicious on September 21, 2010.